Malaysian Char Kway Teow is derived from the Hokkien term ‘Char’ meaning ‘fried’. ‘Kway teow’ refers to the ‘flat rice noodles’, which is the main ingredient. Noodles are stir-fried with light and dark soy sauce over very high heat. Add to this chili, prawns, fresh cockles, bean sprouts, chinese chives, garlic, poached chicken and eggs. The Char kway teow has many variations. Within the Chinese community it is often stir-fried in pork fat with the addition of crisp croutons of pork skin. To accentuate the taste slices of chinese sausage and fishcake are also added. 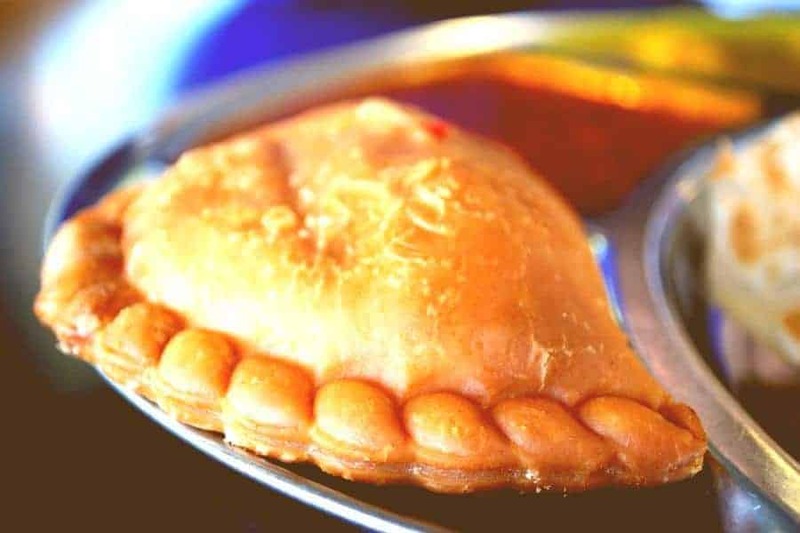 Mostly consumed by laborers, farmers, fishermen and cockle-pickers, it was originally designated as a “poor man’s food”, much like Malaysian Nasi Lemak. Now the Malaysian Char Kway Teow has evolved into one of the most beloved dishes of all Malaysians. The only difference being certain ingredients are omitted to adhere to ‘halal’ guidelines of the majority Muslim community. Many cooks have come up with their own versions of ‘char kway teow’ as the popularity of the dish has grown. The dish does however always contain the same essential ingredients. Malaysian Char Kway Teow is said to have its origins in Malaysia but can be found across South East Asia (Malaysia, Singapore, Indonesia and Brunei). 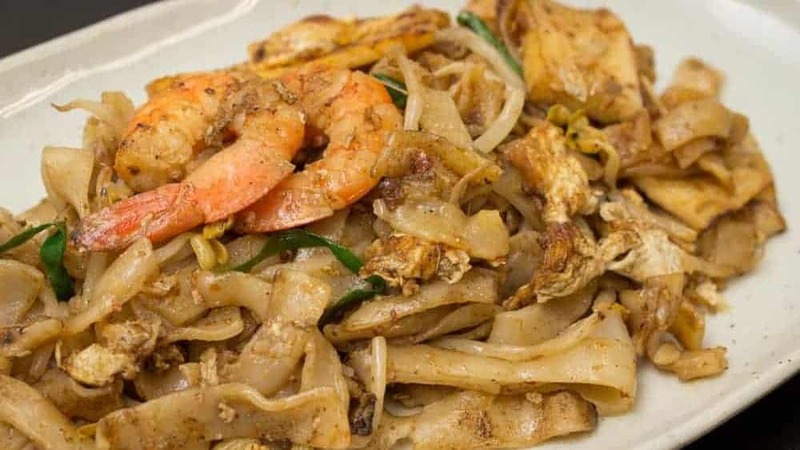 However it is said that the Penang Char Kway Teow is the very best when it comes to taste and originality. 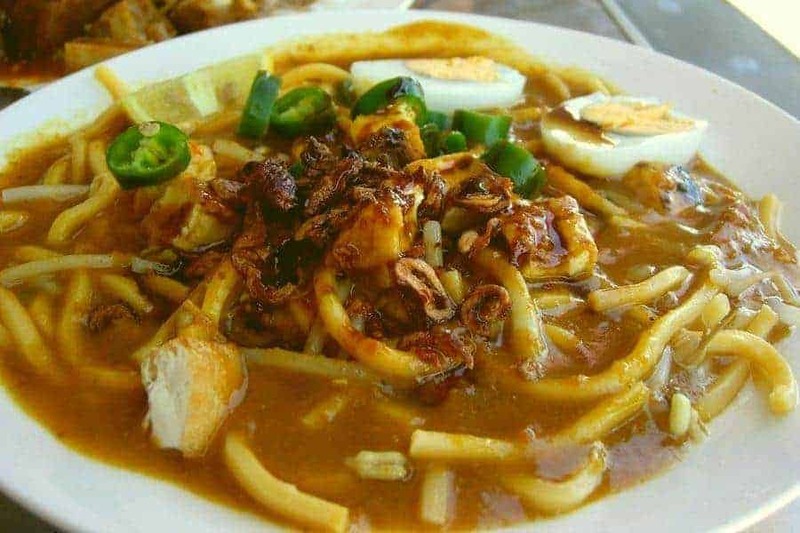 In Kampar, Perak, the dish is cooked with cockles. Prawns are only added if requested. Outside of Peninsula Malaysia other ingredients are used in the cooking such as beef, onions, sweet soya sauce etc. There are now so-called ‘gourmet versions’ of char kway teow emerging. 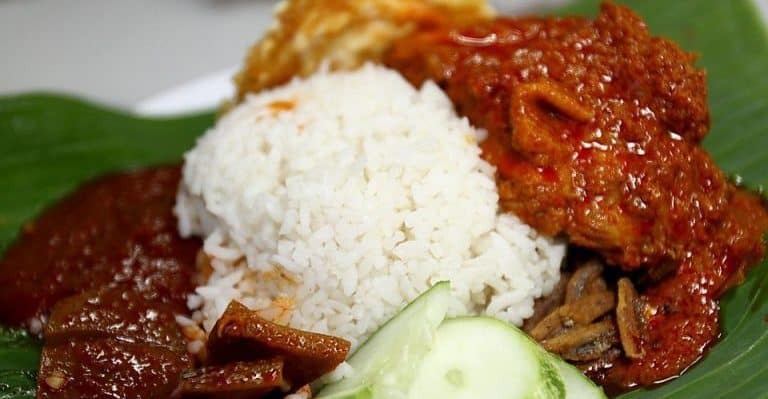 In Ipoh, Penang, Taiping and even the Klang Valley you will find seafood, crab meat and even duck eggs added to suit many discerning tastes. Prepare the Rice Noodles. Wash and drain. Boil noodles until just cooked. Drain and rinse under cold water. Drain and set aside. In a small bowl mix the sauces. Add the light soy sauce, dark soy sauce, oyster sauce, fish sauce, sugar and pepper and stir well. Heat a wok, or large fry pan, to a high heat. Add the vegetable oil. Once hot add the sliced Chinese sausage, minced garlic and chilli paste. Stir fry until cooked and fragrant. Add the prawns and fish cake to the wok and stir fry for about 30 seconds. Add the precooked noodles to the wok and stir fry noodles. Add the sauce a few spoonfuls at a time while mixing gently. Push the noodles to one side of the wok. Crack in the egg and stir until egg is cooked. Then mix through the noodles. Add the Chinese chives and bean sprouts. Continue stir-frying noodles until vegetables are cooked. Serve hot - add a spoonful of Sambal Belacan if you enjoy spice!